“Medicine Flowers” Cuff Bracelet. $535. Flowers heal us, body and spirit, and teach us that beauty is medicine. 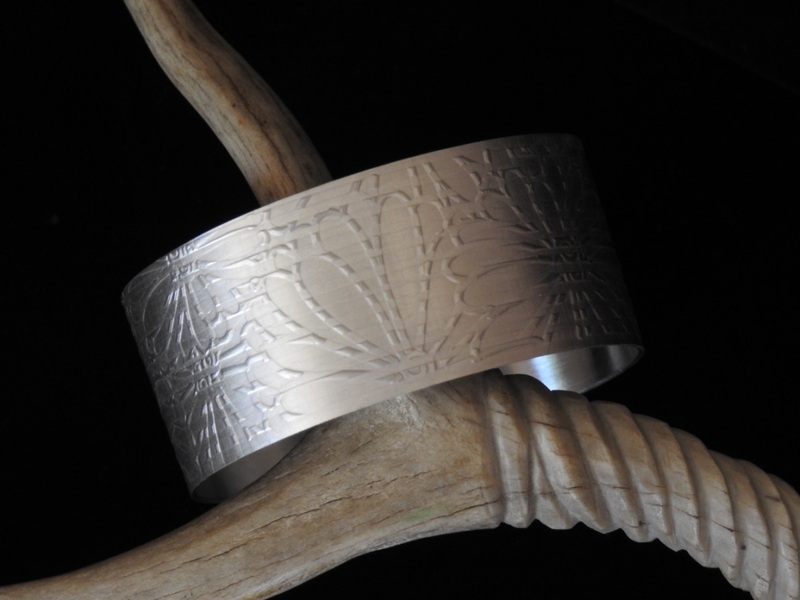 Wings combines two patterns in this hand-milled textured cuff to create a bracelet of medicine flowers: petals and rain, shadows and light, all evoking a ’60s Flower Power vibe. The lines are laid down first, long slender columns in a positive/negative alternating pattern, studded here and there with raindrops. Above the lines, stylized daisy and sunflower petals blossom and dance.. 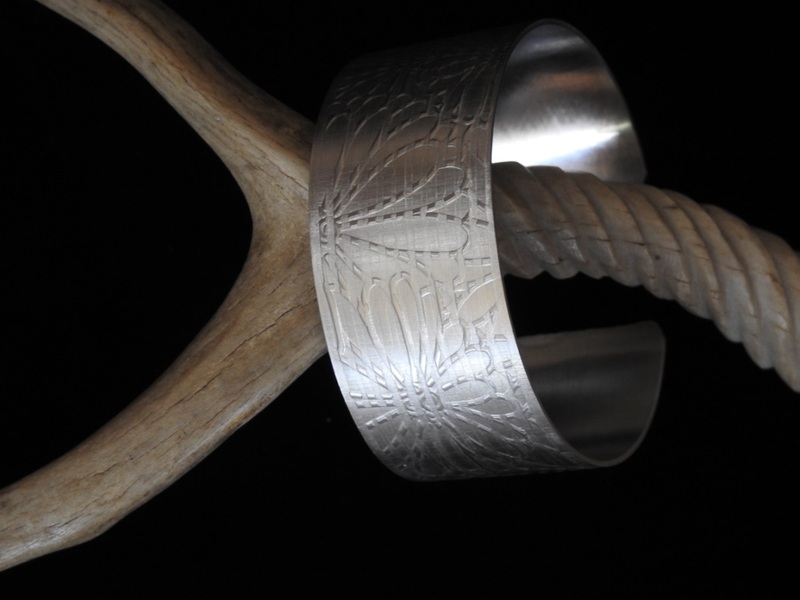 The band is buffed to a soft Florentine finish, and stretches 6.5″ long by 1-1/8″ across (dimensions approximate). Side view shown below. Posted on Tuesday, October 30th, 2018 at 12:56 pm. Filed under: Bracelets, Cuffs and Links and Bangles	RSS 2.0 feed.